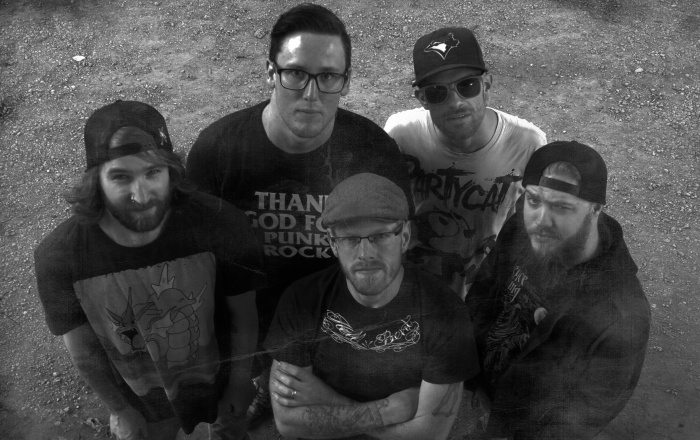 "We all grew up on late '80 punk and '90s skate punk," says Bonnavilles vocalist Chris Payne. "We spent our teen years at shows, skate parks, and jammin' in friends' basements and bands like Strung Out, Pennywise, No Use for a Name, Minor Threat, DK, the Adolescents was the soundtrack to those days." It's not tough to hear those influences when listening to the Canadian band's debut EP, Back Alleys & Barstools. "When we all got together there was this unspoken direction that we all wanted to take this at first," Chris admits. "We’re not trying to recreate the glory days but it’s damn hard to not let the music that moulded our youth bleed through in what we’re doing now." Released earlier this year, Back Alleys & Barstools finds the Ontario outfit delivering a sound that "EpiFat" fans will appreciate. A fine example would be "Better Part," the second track on the EP that Bonnavilles just dropped a music video for. "'Better Part' is at its core a thank you to the people in our lives that make us better people through their influence and friendship. Shooting the video was a blast. Dave Sheldon (director/editor) was amazing to work with. From the shenanigans on the rehearsal set to the energy of the live show it was a great experience and we’re all pretty stoked about the final product." 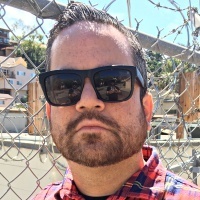 Since I'm not as versed as I would like on the scene there, I ask Chris about the Ontario punk community and where he sees Bonnavilles fitting into it. "The punk scene from where we fit in has definitely adapted and shifted to the new generation of kids coming in to it, but you will always have the core values and momentum that started the punk movement back in the day. It’s refreshing to see a new generation of kids picking up guitars and screaming their hearts out. 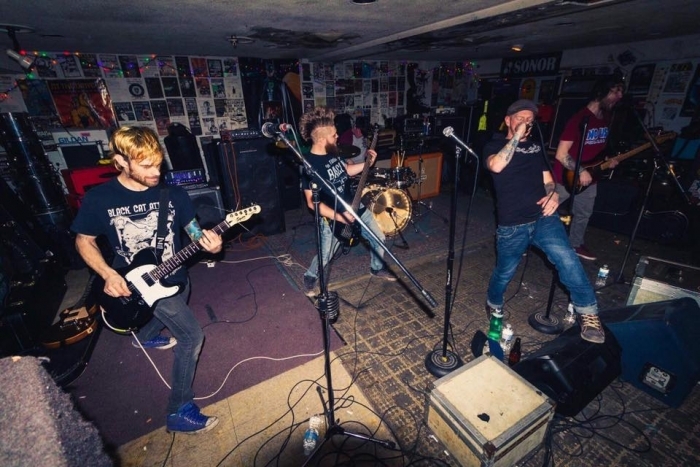 "The Ontario punk scene is just as alive as ever and we’re so glad to be a part of it. We’ve come across quite a few bands lately that are going in the same direction we’re aiming and we’re looking forward to what the future brings." So, what do the Bonnavilles dudes have planned for the rest of 2019? "So much. We're currently booking shows, have a few festivals lined up that dates will be released shortly. Story boarding the next video and always writing new music. 2019 is going to be one hell of a year for Bonnavilles." 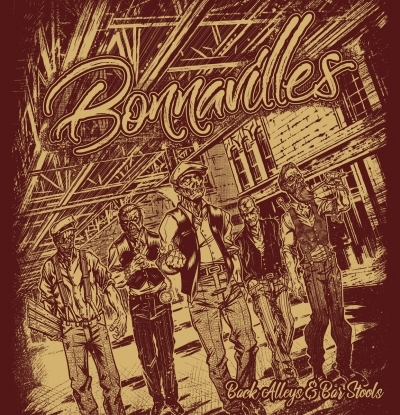 Head to Bonnavilles' Bandcamp page to download the Back Alleys & Bar Stools EP. You can find the band on Facebook.